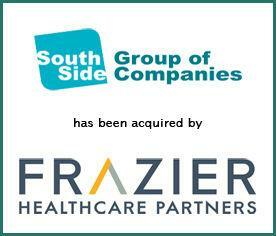 Southside Pharmacy (“Southside”) has been acquired by Frazier Healthcare Partners (“Frazier”). Southside serves over 35,000 patients each year and is one of the largest independent specialty pharmacies in the Houston, Texas market. Southside was rebranded to AppianRx. Provident Healthcare Partners (“Provident”) served as exclusive financial advisor to Southside. The terms of the transaction were not disclosed. Amit Jain, Frazier Operating Partner, will serve as CEO of Southside. Amit most recently served as Senior Vice President and Head of Business Operations at Omnicare, Inc., a Fortune 500 healthcare services company. “Since 1984, Harish and his team at Southside have been dedicated to being a one stop shop for all pharmacy related services to the Greater Houston Community. With the addition of Amit as CEO and the capital and resources from Frazier, Southside is well positioned to replicate this model of service nationally,” commented Steven Aguiar, Managing Director at Provident Healthcare Partners. In addition to specialty pharmacy services, Southside provides a range of related ancillary services including infusion suite management, diagnostics and home health. Southside has deep expertise across multiple therapeutic areas including; Neurology, Immunology, Virology, as well as orphan and rare diseases. Southside is currently accredited by URAC, The Compliance Team, and ACHC. For more information, visit www.ssrx.com. Founded in 1991, Frazier Healthcare Partners is a leading provider of growth and venture capital to healthcare companies. With nearly $3.0 billion total capital raised, Frazier has invested in over 170 companies, with investment types ranging from company creation and venture capital to buyouts of profitable lower-middle market companies. The firm’s Growth Buyout team invests in healthcare and pharmaceutical services, medical products and related sectors. For more information, visit www.frazierhealthcare.com.